Brian Ganz. Photo by Bruno Murialdo. The National Philharmonic, under the direction of Piotr Gajewski, is striving to perform the complete works of Frédéric Chopin. In the most recent concert, featuring pianist Brian Ganz, the focus was Chopin’s early life so the program consisted only of music that he had composed before the age of 25. Ganz is a marvelously talented musician who exudes pure joy while he plays. Ganz is a marvelously talented musician who exudes pure joy while he plays. His love for the music spills onto the piano and across to concert hall, filling each member of the audience. He would take breaks throughout the concert to elaborate or explain the things the audience was hearing. Chopin did not like writing for large performance spaces and Ganz captured that in the intimacy of his performance. It was more like sitting in a parlor while Ganz played than being in a concert hall. The concert started with three Nocturnes, which were light and sensual. This was followed by a set of Polonaises, which were traditional Polish court dances. This was a fascinating set that allowed the audience to hear how Chopin’s work developed from the time he was 11 to 25. There was also a set of Mazurkas, Polish folk dances. These were perky and flighty but did reveal some of the emotional depth that Chopin is so known for. The real heart of the program was the 12 Études, Op. 10. Before Chopin, études were simply for practice, but Chopin wrote these so musicians could practice the techniques he was developing. They are considered some of his greatest work and showed the world what could be done with piano exercises. They can be performed in a concert hall and not feel out of place. The études are fluid and sound almost mischievous. Ganz played each piece masterfully and with such care and delicacy that the audience could not help but love watching him play. 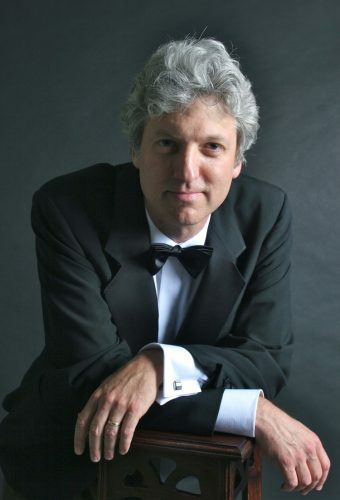 “Brian Ganz Plays Chopin: A Young Genius” was February 18 at the Music Center at Strathmore. For more information click here.